Comics - Audio - Film! Another catch up day here at the Pulp Reader. There's some interesting things going on in various media that should be of interest to the pulp and noir aficionados. Enough has built up that I felt I should pass some of this on here at the blog. 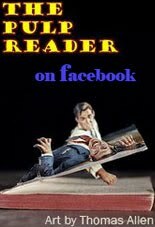 If you are a Pulp Reader facebook fan you already know about these events, plus even more news and trivia not covered in the blog. If you aren't yet, then go try it, you might like it! I've been eagerly awaiting several books to be published by Fantagraphics. 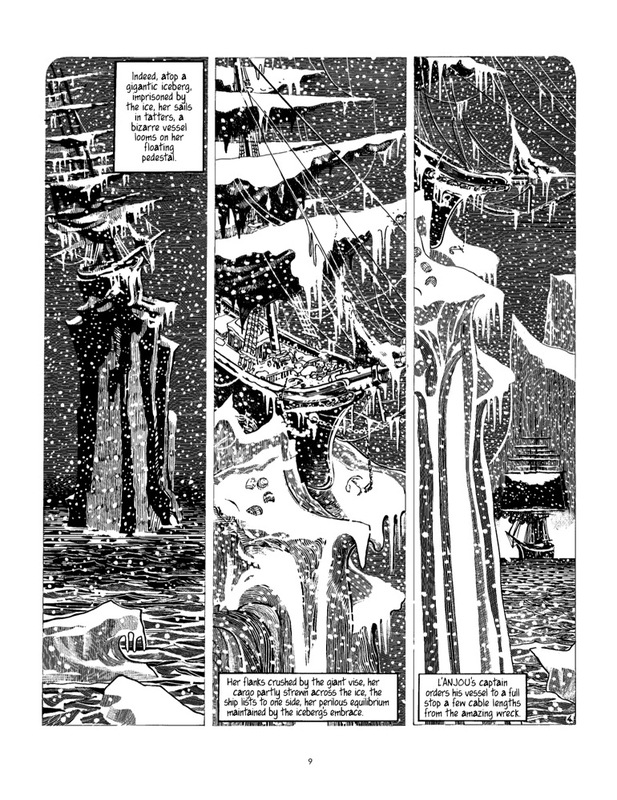 I just found out that two of them (both by Jacques Tardi) are now out. One is two stories of Adele Blanc-Sec adventures (Pterror over Paris and Eiffel Tower Demon) the other is The Arctic Marauder. Here's a glimps at the latter at COMICSBEAT. Fantagraphics was originally putting Adele Blanc-Sec out in conjunction with Luc Besson's new movie. Since the movie doesn't seem to be getting a roadshow in the US, the publisher has decided to start releasing the newly translated books now. Audio Adventures of Doc Savage, The Spider & Secret Agent X! "Radio Archives today announced a new series of audiobooks, based on favorite pulp novels of the 1930s and 1940s. The audiobooks will begin Radio Archives' new line of original audio productions based on classic pulp fiction. The first series of audiobooks will be the seven Doc Savage novels penned by pulp author and Doc Savage authority Will Murray, featuring cover art by Joe DeVito. Future series will include the exploits of pulp heroes The Spider and Secret Agent "X", as well as other pulp fiction properties. The new audio productions will utilize the talents of some of the top voice actors and recording talents in the United States. The first audiobook release is scheduled for June 2011. "We're thrilled to have Will Murray's excellent Doc Savage novels as the lead-off offerings in this exciting new series," said Harlan Zinck, president of Radio Archives. "The audiobooks and other new audio productions will nicely complement our classic radio and pulp reprint offerings." Murray's Doc Savage stories were published in the 1990's and were the first new Doc Savage stories in more than 40 years. "Creating audiobooks of these extensions of the Doc Savage canon brings a new dimension to this classic pulp character," Murray said. 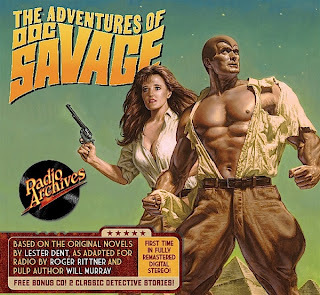 The new audiobook line, which will be recorded and released in digital stereo, will be produced and directed by audio producer Roger Rittner, who created The Adventures of Doc Savage full-cast radio series, available in a deluxe CD set from Radio Archives. "I'm delighted to be able to bring the superb quality of Radio Archives productions to these exciting stories," said Rittner, who has a 30-year history of both recorded and live classic radio and audio productions." More info and listening samples at RA. After the dawn of the 20th century, popular fiction could be found at the corner newsstand by a nation eager for the tales. Each issue was printed on cheap, pulpy paper that was soon synonymous with the lurid style typical of the contents. The pulps have a well-earned reputation for purple prose, but there was gold among the dross. 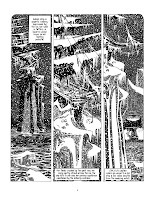 Fine adventure stories from other genres were printed in pulps like Adventure, Weird Tales and Planet Stories, but unfortunately, many of these authors remain neglected or marginalized. Today's readers might expect to find nothing but legions of square-jawed heroes, wilting damsels and tentacled monsters in the old magazines, but there were also skilled, inventive writers plying their trade, evoking thrills and chills without formulaic plotting. Check out their rundown here. Freddy 'the Hush' Burnett is a hitman with his own code of justice. In one night, a simple job gets out of control as he takes an innocent life. Now, as mysterious forces threaten his life, his only chance for survival and redemption rests in the ghosts of a troubled young woman and a sadistic psychopath. "The Hush" is the the first feature film of Oakland CA born-and-based Writer/Director Vincent Cortez. The film is a spiritual journey featuring supernatural and action elements, done in film noir style, that deals with fear, violence and change. "The Hush", will be showing at the Historic Bal Theatre in San Leandro CA on Saturday night, June 11th 2011, followed by an exclusive in depth retrospective about indie filmmaking and tackling high concepts on a low budget. The cast and crew will be in attendance. NOTE: Check Facebook Deals for discounted tickets. *The retrospective will include a 10 minute behind the scenes video exclusive, as well as a Q&A and discussion with the cast/crew.